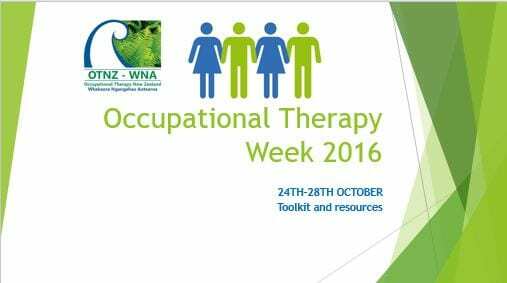 Occupational Therapy New Zealand Whakaora Ngangahau Aotearoa - » OT Week 2016 Toolkit, now available! 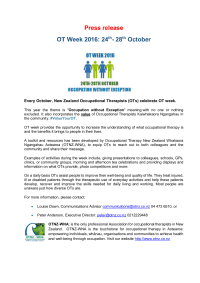 OT Week 2016 Toolkit, now available! 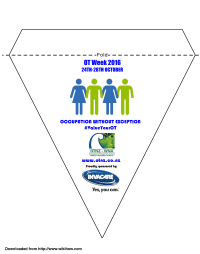 The OT Week Toolkit is now available to help you with some ideas for OT Week celebrations. 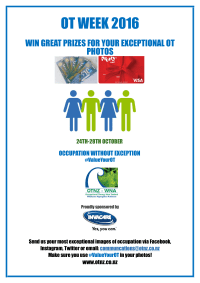 We recommend that you use brightly coloured blue and green paper and hang them around your OT Week 2016 events/celebrations! Download a template and instructions here. 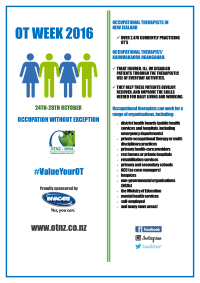 We recommend that you print these off on brightly coloured paper and hang around your OT Week events! Staple or sellotape the tab in place with string positioned underneath, and repeat with the rest of the flags.